Yeşilçam cinema never lacked for bad women. There were several types of these vicious female characters, such as prostitutes. However, prostitutes in Turkish movies were not necessarily bad in intention. The femme fatale type was worse than an actual prostitute, because she was seductive and destructive for the protagonist or protagonists. Yet the worst female character in the typical Yeşilçam movie was not a femme fatale. Here was the worst of all: The mother who acts as an accomplice in a crime with her son, the one who drives her own flesh and blood to commit terrible crimes toward her own vicious ends, due to her frustrations. She does not commit the crime, yet she is the maker of the criminal. This touches Turkish people deeply, since they have strong feelings towards their mothers. The bad mother brings a great catharsis to the hearts of audience members, and vicious intentions are released toward the fictional female antagonist. People always felt free to hate the actresses who playing the role of the bad mother in Yeşilçam movies. Aliye Rona, may she rest in peace, is probably the most cursed actress in Turkish cinema because of her roles as the mother who drives her son, nephew or son-in-law to commit a crime. Aliye Rona was born Aliye Dilligil in 1913 in Daraa, Syria, which was then within the borders of the Ottoman Empire. Her father, Ramiz Bey, was a notable in Trabzon province. He and his wife, Servinaz Hanım, resided in Daraa at the time of the birth of their daughter Aliye, due to his job as a railway officer. The Dilligils had a son, Avni Dilligil, who became a famous actor like his little sister Aliye. Aliye spent her childhood in various provinces of the Ottoman Empire, including Haifa, Batumi, Edirne (Adrianople) and Samsun, because of her father's job. Finally, the family moved to Istanbul. Aliye was educated in the Evening School for Girls in Beyoğlu, Istanbul. Her elder brother Avni was hired for a role in a production of "Hamlet" in Istanbul City Theaters in 1927, and he became a well-known theater actor. Following in her brother's footsteps, Aliye looked for a chance on the theater stage. She began her career as an amateur actress on the Kadıköy People's House theater stage in the late '30s. Avni Dilligil quarreled with famous actor and director Muhsin Ertuğrul, and resigned from the Istanbul City Theaters to establish his own theater company, giving his sister the opportunity to appear on stage. Young Aliye played minor roles in various plays for private theater companies owned by prominent actors, such as Ulvi Uraz, Avni Dilligil and the Arena Theater. Aliye Dilligil married Zihni Rona, who she met while working for the City Theater in İzmir. 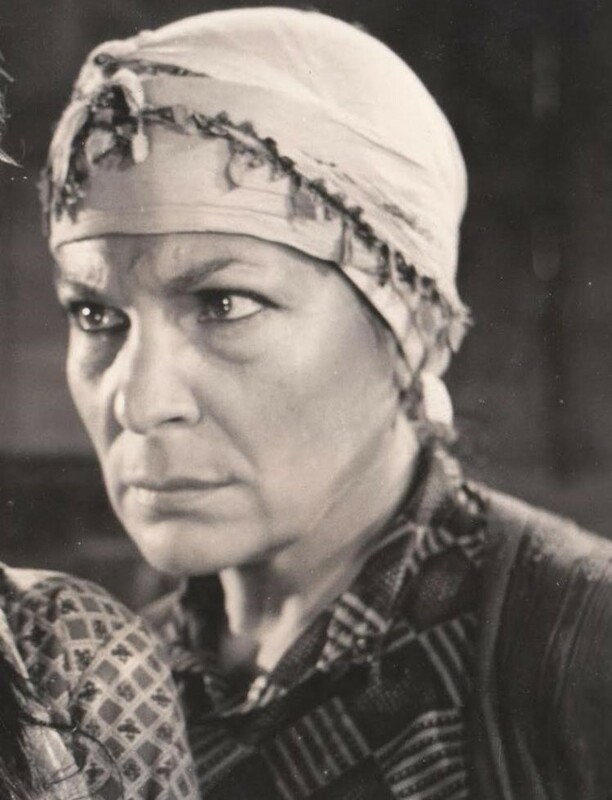 Aliye Rona's first role on the silver screen was in the film "Kerim'in Çilesi" (Kerim's Agony) in 1947. She was a talented supporting actress. This was obvious from her first role. She very ably portrayed the female character with disgraceful intentions. The audience was captured by her character's cruel face and bitter speeches, driving the weak, young male characters to commit crimes. She was a maker of criminals. She became known for this type of role, as producers liked to give her similar roles. Indeed, she played various types of supporting roles, including the suffering good mama. However, people didn't remember her for these "good" roles. She was destined to be remembered as the bad mama. Aliye Rona was typecast for decades, portraying the wicked power of women in a traditional society. Her role can be generalized as the woman who orders her son to adhere to local customs which seek vengeance. She is poor and suppressed, and blind fate brings her disaster. Her husband is her only source of power, but he is killed by a stronger man. So she looks for compensation, which means nothing but vengeance. She drives her son to avenge his father, though he is not inclined to do so. In the end, the son commits the horrible crime and is killed or imprisoned. Aliye Rona as the bad mother is sometimes punished or feels remorse for her actions. Aliye Rona acted in 204 films, which shows how much she was sought by the producers and directors of Yeşilçam cinema. Three times she won the Golden Palm Prize for supporting female roles in the Antalya Film Festival; first in 1965 for her role in "Hepimiz Kardeşiz" (We are all Brothers and Sisters) directed by Ülkü Erakalın, with leading roles played by Hülya Koçyiğit, Tamer Yiğit and Cüneyt Arkın. 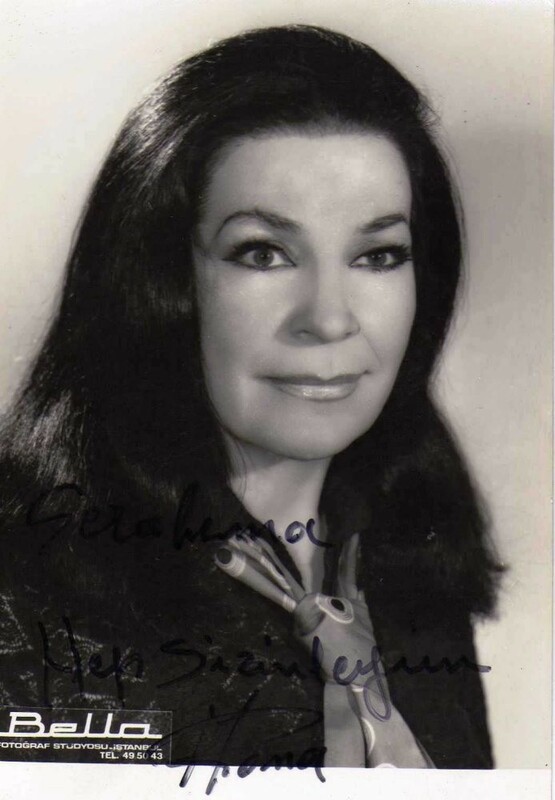 Aliye Rona's second Golden Palm was for her supporting role in "Zalimler" (The Cruel Ones) in 1967, and her third was for her role in "Son Gece" (Last Night) in 1968. Her role in "Yılanların Öcü" (The Vengeance of the Snakes) was a great triumph, although never officially awarded. She won the Adana Golden Boll Prize for her role in "Kuyu" (The Hole), one of the great classics of Yeşilçam cinema, directed by Metin Erksan in 1969. Aliye Rona wished to play Zübeyde Hanım, mother of Mustafa Kemal Atatürk, the first president of Turkey. However she didn't have the chance. In her later years, she suffered a stroke and became bedridden. She died on Aug. 27, 1996, in a nursing home in Pendik, İstanbul. She was buried in the Karacaahmet Cemetery in Üsküdar. Many people who knew her knew that she was a very good lady with a golden heart.